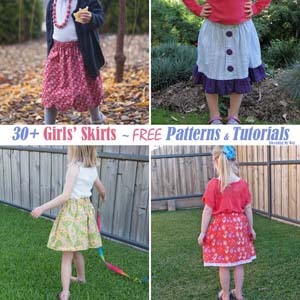 I just love it when readers let me know they've used one of my tutorials. 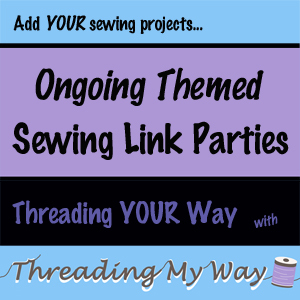 Whether it be an email, a message on Facebook or Twitter, a comment under a post, or a photo in the Threading My Way ~ Sewn by YOU Flickr group, I really do like to see the projects you have sewn. 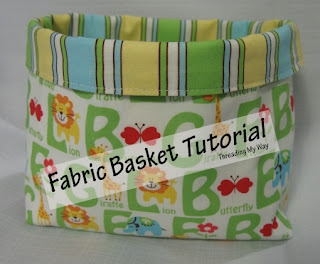 Fabric Basket Tutorial... super quick and easy to make, these baskets can be used for both storage and gift giving. 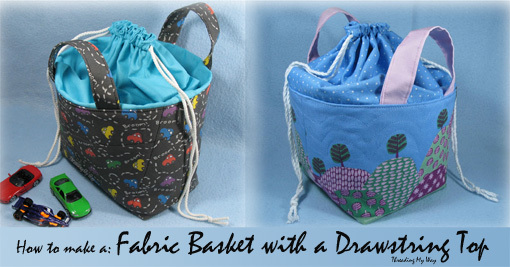 Fabric Baskets by Pam, from Cherish Totonto... with added button embellishments. 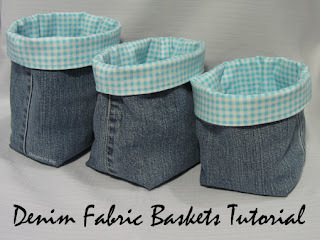 Denim Fabric Baskets Tutorial... made using the legs of pre-loved jeans, these baskets cost very little to make. 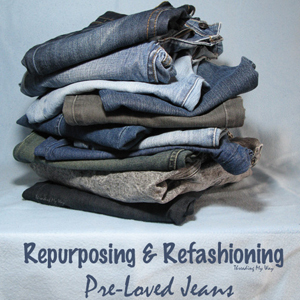 And let's face it, we all have old jeans lying around. 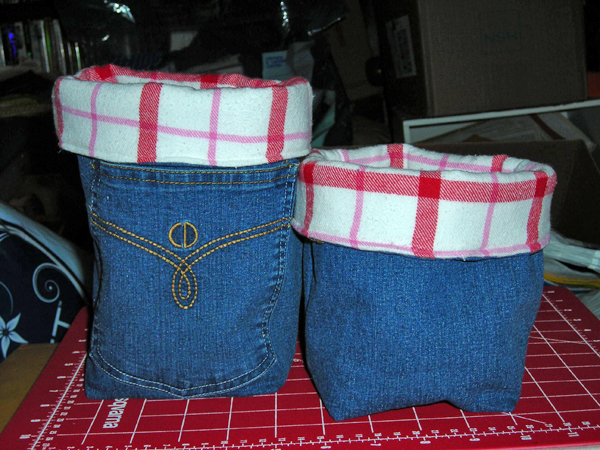 Recycled Denim Fabric Baskets by Kathy, from SunShine Sews... changing the lining fabric gives totally different looks. Denim Fabric Baskets by Tammy, from Tammy's Craft Emporium... the lining for this one is waterproof fabric left over from repairing deck chairs. 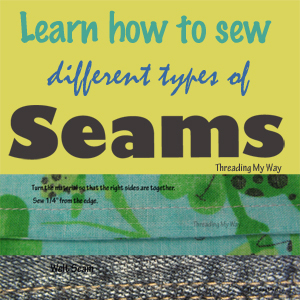 Tammy has made several versions of jeans baskets. Jeans Sewing Baskets by Linda... made in memory of Linda's Mom, using jeans and a blouse that Linda's Mom used to wear. 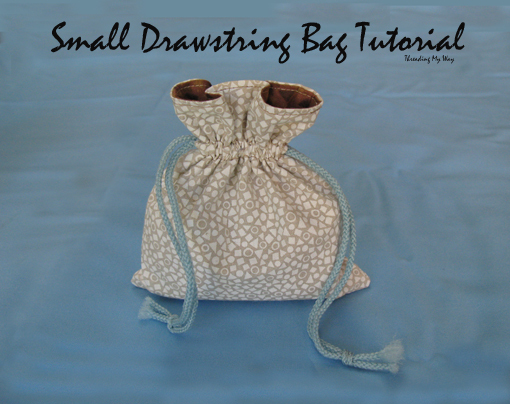 Fabric Basket with a Drawstring Top Tutorial... a fabric basket with handles and a drawstring bag combined. 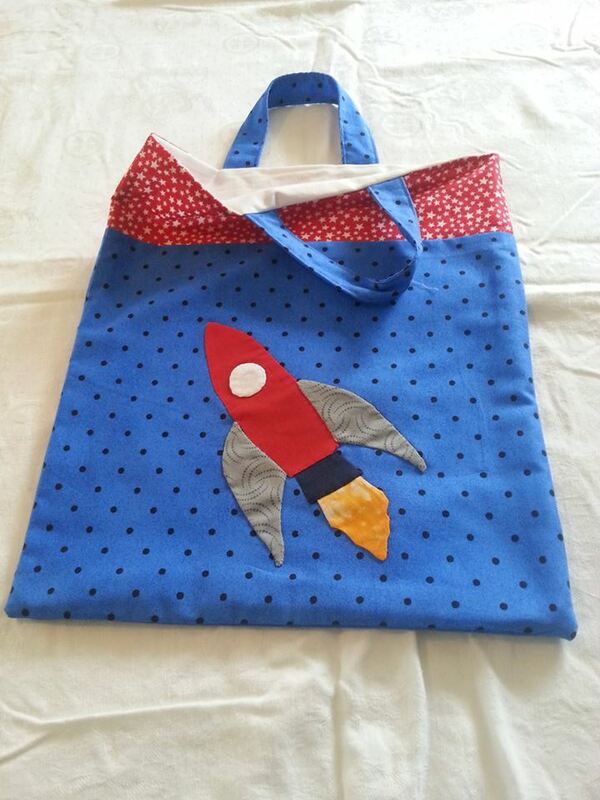 Lets kids carry their bits and pieces without things falling out. 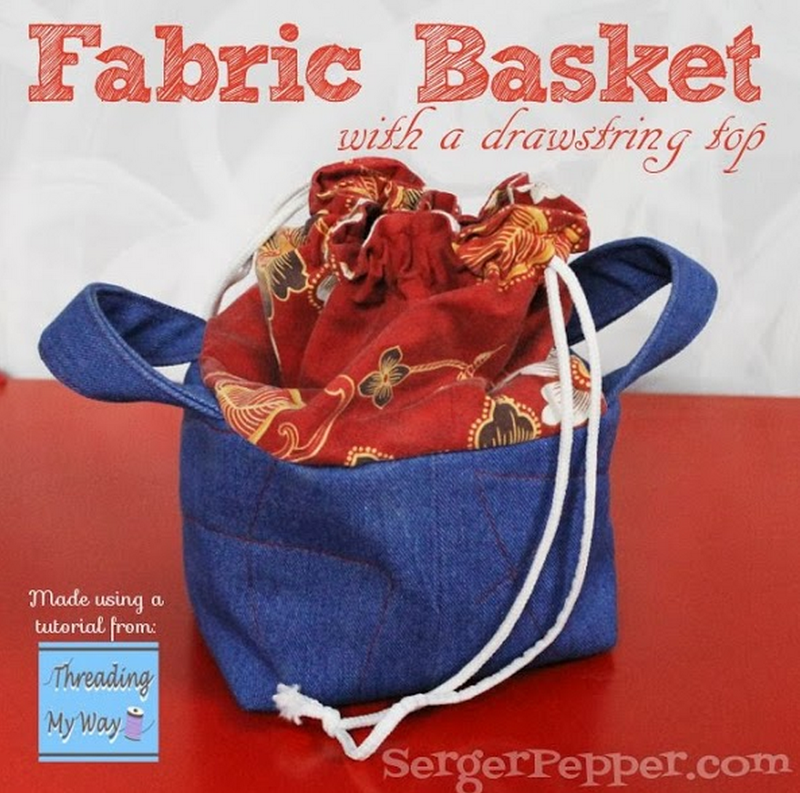 Fabric Basket with a Drawstring Top by Irene, from Serger Pepper... completely made with repurposed fabrics and now used to hold pencils. 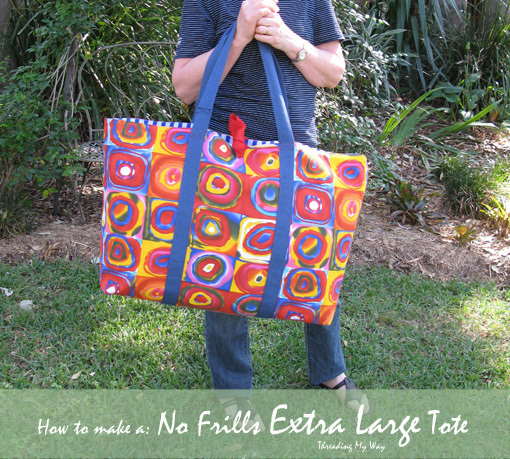 No Frills Extra Large Tote Tutorial... nothing fancy, just a bag that will carry largish items easily. 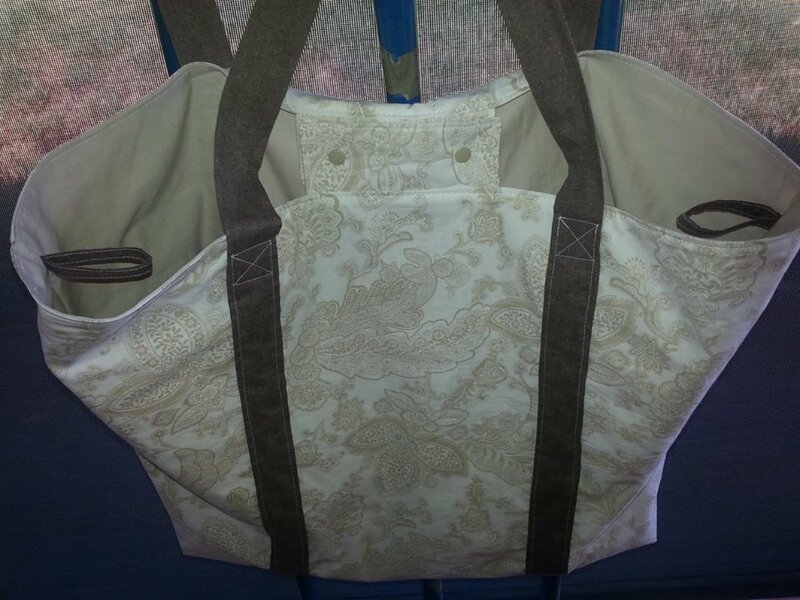 Beach Bag by Sherry, from Adore Handmade... with added internal pockets and key holders as well as a flap to keep the bag closed. 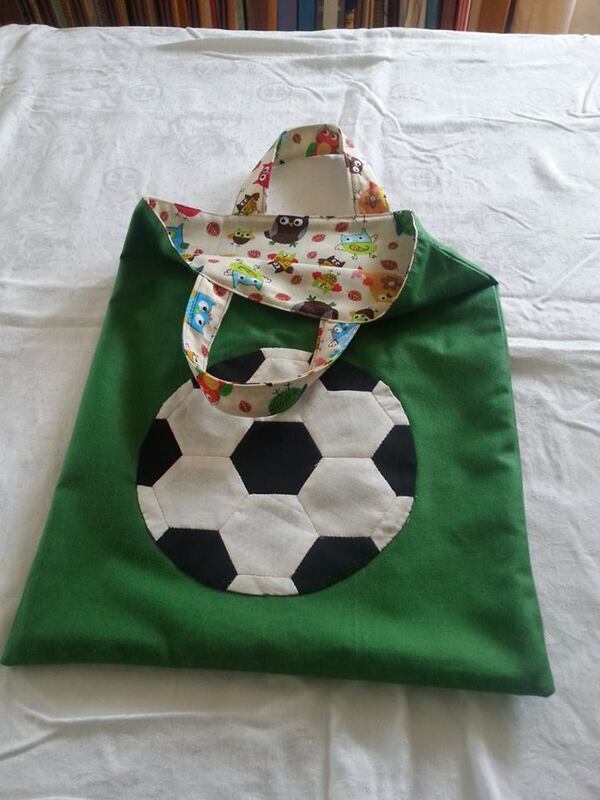 Small Lined Drawstring Bag Tutorial... just the right size for gifting any number of presents. 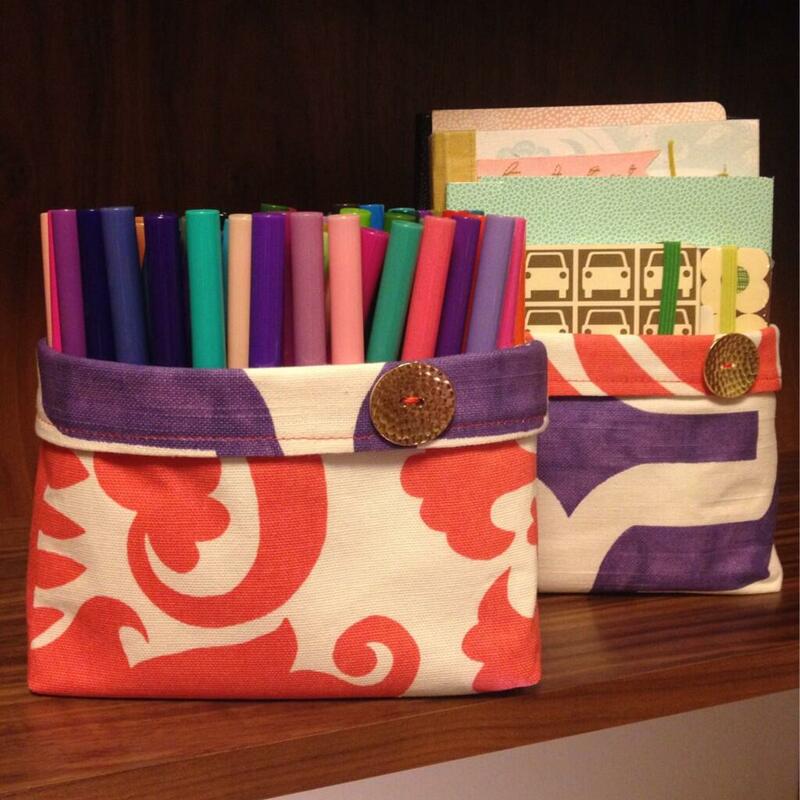 Use the bag instead of wrapping paper... two gifts in one. 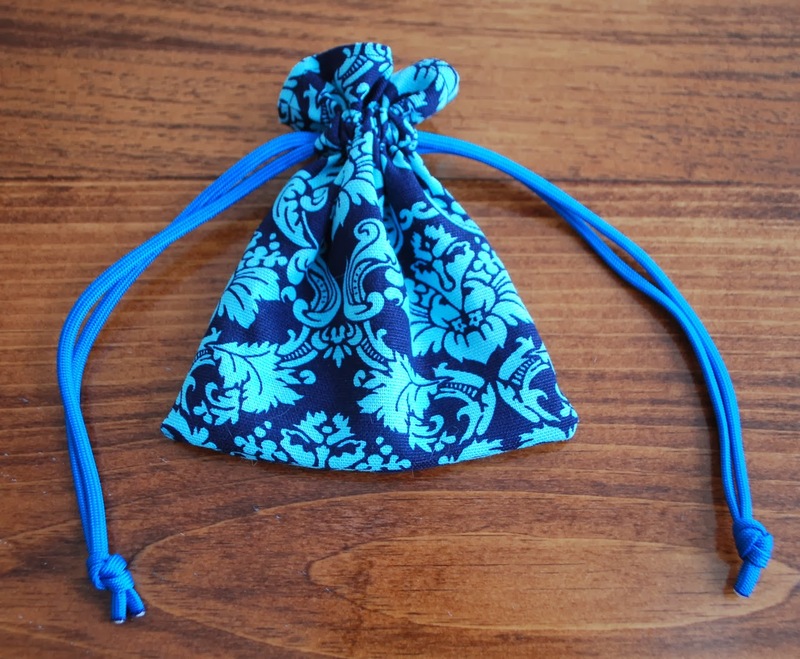 Drawstring Pouch by Niki, from Rooney Ranching... part of the complete diaper bag ensemble. 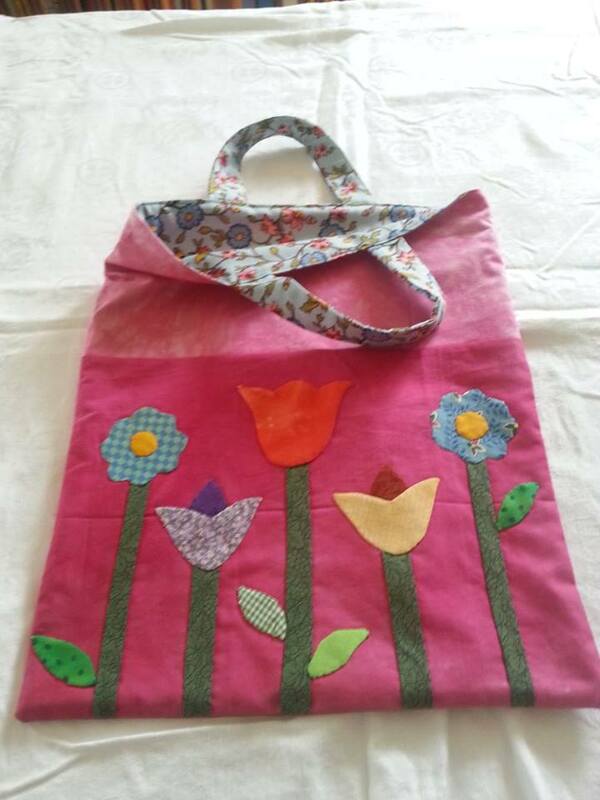 Library Bag Tutorial... Here in Australia, the school year has just begun and children require a Library Bag to enable them to borrow books to take home. 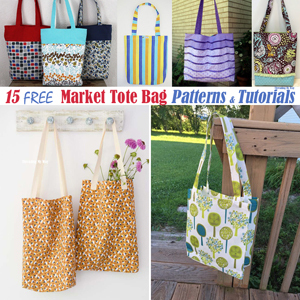 It's so easy to make one that's not only fun, but easy to distinguish from all the store bought bags. 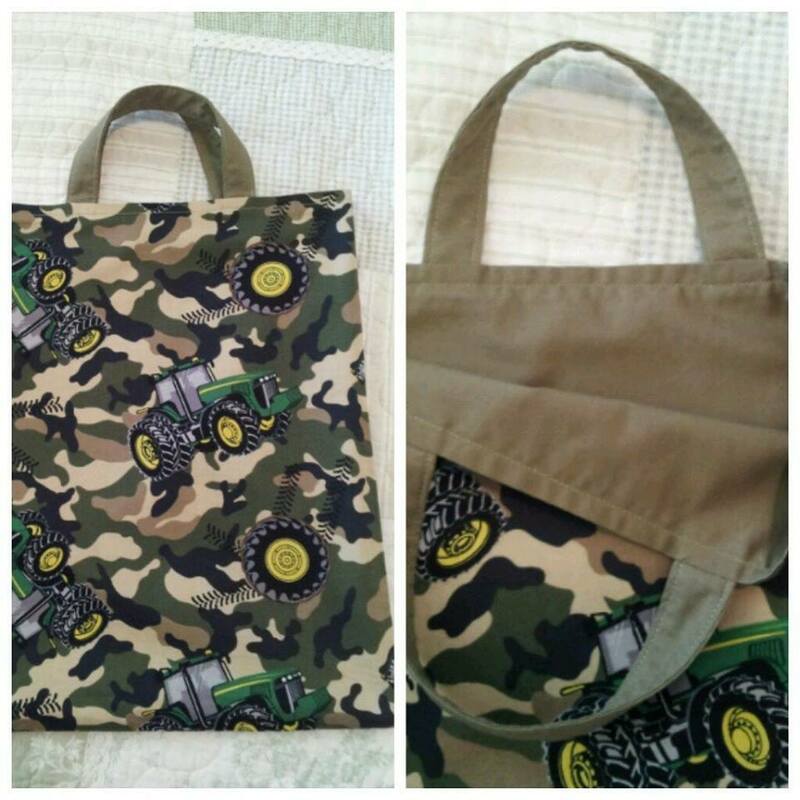 Tractor Library Bag by Susie... Susie's first ever sewing project! Like most bloggers, getting feedback motivates me and usually, this is in the form of comments. Seeing a photo of a project made with one of my tutorials takes this to a whole new level. 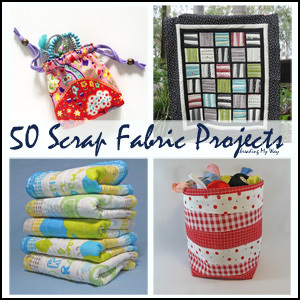 I seriously love all of your projects, ladies!!! Thank you SO much for showing me photos and for sharing the stories behind your projects. How exciting to know people use your tutorials! 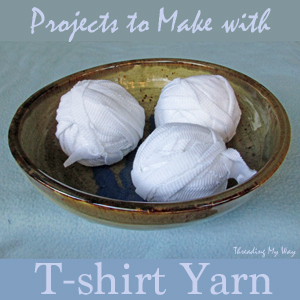 I've pinned them but have not made them yet. 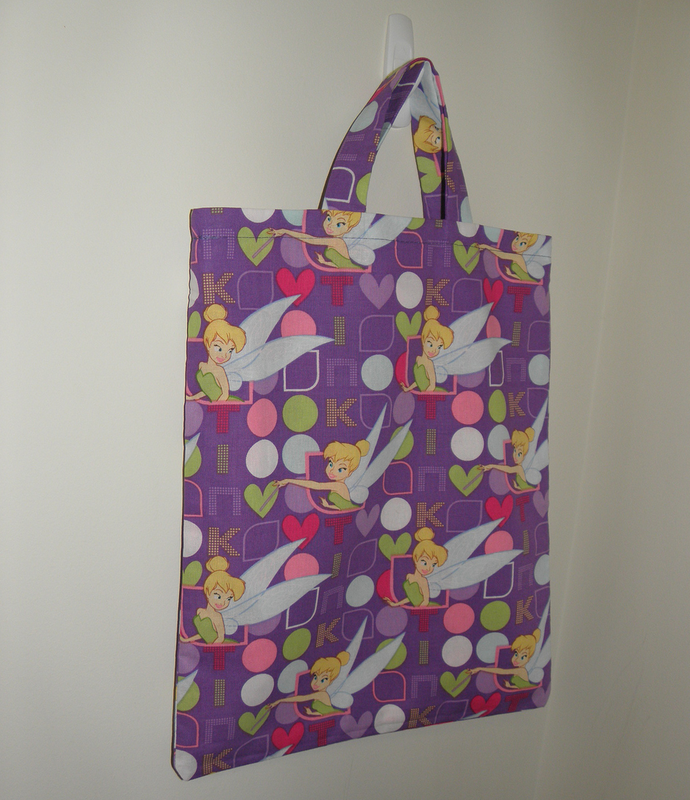 I think the library bag would be a good Christmas for my niece! 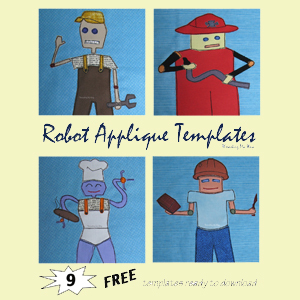 It's so lovely when people make things from your tutorials! 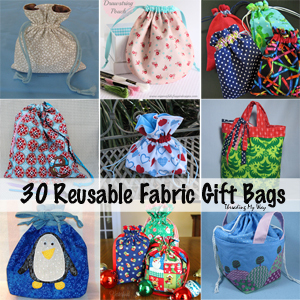 They are all fabulous - love the button embellishments on those fabric baskets! I look forward to seeing the baskets you make, Su.